If you are looking to become a CNA, but cannot commit to a full time or day program, pursuing a CNA certification online may be a good alternative. New online CNA certification programs are making it both flexible and affordable to become a CNA and perform meaningful work in a growing field. While other degrees offer an abundance of online courses, CNA classes online are lower in number due to the hands-on nature of the clinical section of CNA training. Keep in mind that only a verified CNA training program must offer a hands-on clinical training component in addition to an online classroom option. Be aware, there is a lot of confusing information for CNA training online across the web, and some programs may not complete all requirements to become a licensed CNA. Be sure to do your due diligence on any online training programs to make sure they meet your state’s requirements to work as a certified nursing assistant (CNA). Most credible online CNA classes are offered by community colleges. Keep in mind that due the nature of the work of a CNA, gaining training in a hands-on clinical setting is still critical and these programs require you complete the clinical setting to become a licensed CNA in your respective state. CNA online training is offered as a hybrid option with online CNA training and in-person clinical training. Community colleges often offer the best online classes for CNAs, with accreditation levels that can be trusted and teaching requirements that meet that state’s respective health and nursing standards. Many community colleges across the country offer CNA and nurse aide training programs, so a quick Google search or a phone call to your local community college should provide you with an answer to whether you can work toward your CNA online. You can also use our state by state guide to find local providers who may also offer online CNA class near you. For a full list of skills, please check out our CNA training materials section. Once you’ve completed your online CNA training, you’ll need to pass the CNA certification exam to become a licensed certified nursing assistant. Your online courses and your in-person training should prepare you for the exam, but there are also countless resources available online to assist you in your preparations. This site has a huge array of CNA practice tests to help you prepare for the big day. Check out our full menu of CNA practice tests. 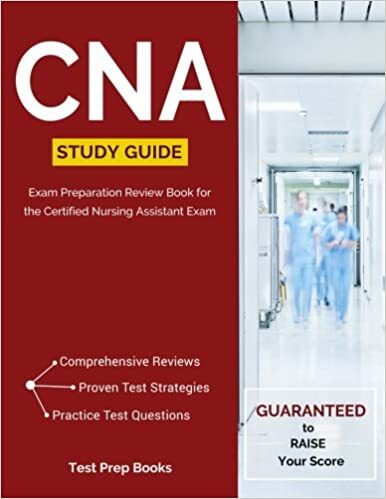 If you’re more interested in building a strategy to pass the CNA exam, we’ve got you covered there as well, just check out our CNA exam preparation guide to give you a game plan for gaining your CNA certification. Where Can I Work Once I’ve Gotten My CNA Certification Online? The main reason most people seek out their CNA certification is to find a good job. While most people pursuing their license realize that having their CNA is a great way to land employment at nursing homes, long-term care facilities and medical centers, there are many other opportunities as well, including opportunities to work as a CNA specialist, or programs that offer the opportunity to go from a CNA to a registered nurse (RN) or as a licensed practicing nurse (LPN). What may seem like a simple step to take some online courses as a CNA can lead to numerous opportunities for higher pay and greater responsibilities in the healthcare field. Now is a great time to explore a future career as a CNA and break into the healthcare industry. The online programs listed above are just a few examples of the many options, so be sure to continue researching until you find the online CNA classes that best suit your individual needs. In the meantime, you may want to try one of our free CNA practice tests to see how much you already know about the position.